The leading data visualization web parts for SharePoint 2007, 2010, 2013 and 2016. Helps you deliver advanced dashboards and reports inside any SharePoint page. The most advanced chart web part available for SharePoint 2007, 2010, 2013 and 2016. 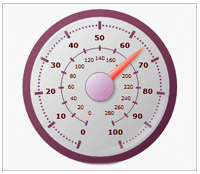 The most advanced gauge web part available for SharePoint 2007, 2010, 2013 and 2016. The most advanced map web part available for SharePoint 2007, 2010, 2013 and 2016. The most advanced barcode web part available for SharePoint 2007, 2010, 2013 and 2016. Leveraging years of experience, Nevron Vision for SharePoint delivers leading data visualization and unique know-how, which is at the same time entirely visually configured through an exhaustive web-based interface. This makes it possible for developers and non-developers alike to take advantage of the flexibility and feature richness these web parts have to offer – directly inside the browser. The web parts included in this suite can extract data from a diverse range of data sources including: variety of databases, SP Lists, SP Site Queries, Excel Services and BDC. 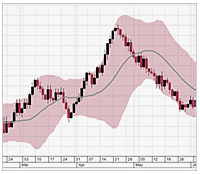 They are also equipped with a fast, reliable and flexible data aggregation engine, which allows the authoring of complex dashboards and reports that perform sophisticated data analysis. Nevron Vision for SharePoint is unique in the breath of its offering – from simple charts and KPIs to sophisticated drill-down reports and dashboards – this suite of web parts delivers it all to you – the regular SharePoint user. It combines the industry leading Nevron Charting engine for ASP.NET together with the powerful Nevron Pivot Data Aggregation engine. This allows virtually any SharePoint user to visually create advanced pivot charts with truly unique and impressive looks. 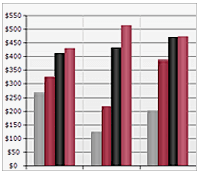 That is why it is considered to be the Microsoft Excel Pivot Chart analog in SharePoint context. 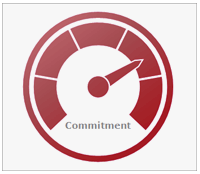 When an advanced web part that will monitor your critical data in SharePoint (2007, 2010, 2013 and 2016) is needed, you can’t go wrong with Nevron Gauge for SharePoint. 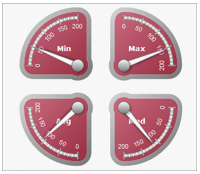 The Gauge Web Part will provide you with a complete set of linear and radial gauges, numeric displays and state indicators, driven by pivot data aggregation. 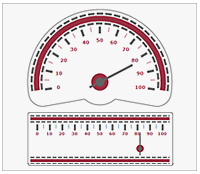 Using Nevron Gauge for SharePoint you can create complex gauges with multiple gauge areas, KPIs, Scorecards and Dashboards, which are configured visually and directly in SharePoint environment with no coding at all. Nevron Map for SharePoint is designed to provide an easy and powerful way to create choropleth maps that are tightly integrated with your data. The web part delivers an unmatched set of features related to visual quality, layout, data integration and data analysis. 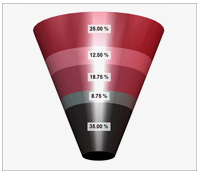 Nevron Consulting has experience and knowledge in building custom Digital Dashboards in SharePoint. Whether you need complete Dashboards, or just Charts and KPIs in specific SharePoint pages - Nevron Consulting is here to help you get the most out of your data in SharePoint. 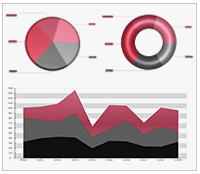 Nevron Vision for SharePoint provides us with a fully featured chart design tool, flexible and easy to use data connectors and a simple cost effective licensing model. These combined features have enabled our developers to quickly and efficiently create a wide range of charts from MS SQL views to SharePoint lists. The Nevron Vision for SharePoint feature set has enabled our company to produce all required charts in-house, reducing development costs and providing us with a quick ROI.